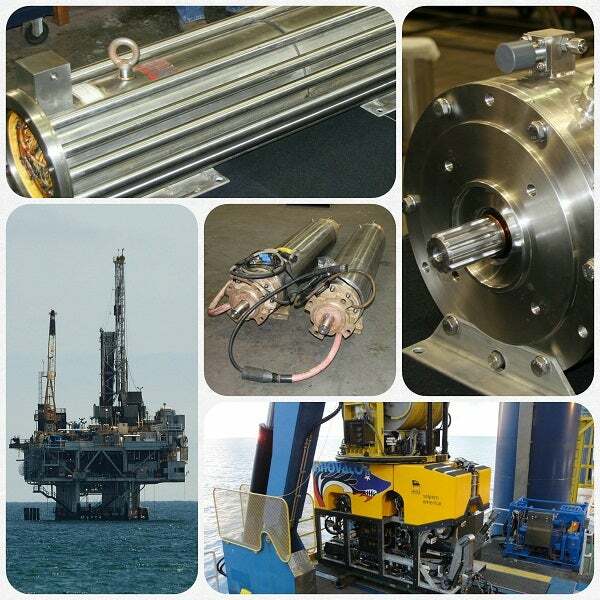 Sun-Star Electric, Inc. focuses on the manufacture, repair, design and fabrication of water and oil-filled, wet-wound submersible electric motors for offshore applications. Sun-Star Electric has thousands of stock submersibles on hand and also offers redesign and machining services to repair and remanufacture other manufacturer’s units. The company applies its expertise to raising quality and reliability levels by designing and manufacturing its own lines of submersible motors. These units are available in water-filled and oil-filled constructions, including the deep-ocean capable Aqua Star, the water-filled SSEI/Hitachi, the water-filled Sun Star and the RO Duty stainless-steel motor. Sun-Star Electric creates special application submersibles for specific requirements. Sun-Star Electric is Hitachi’s largest distributor and it’s only authorized manufacturing, repair and warranty facility in the world. Hitachi Motors are available for high-temperature applications of up to 75°C. The Type ‘D’ motor is a water-filled, high-efficiency, submersible motor which features 300 series stainless-steel components. It is completely sealed and employs an internal pressure balancing system whereas the mounted flange dimensions ensure a standard fit to most pump manufacturers. It is also approved for applications with insulated-gate bipolar transistor (IGBT) type variable frequency drives (VFD). Additional configurations, features, materials, and sizes are available upon client request. The Sun Star type ‘M’ motor is a balanced, oil-filled submersible unit with a double mechanical seal. The standard material construction is stainless-steel and NSF 61 rated epoxy-coated cast iron. The type M motor is customizable to cater to various horsepower, speed and voltage levels. Sun-Star Electric manufactures the Aqua Star remotely operated vehicle (ROV) motors for new and existing units. The motor is designed and engineered for an accurate fit and is customizable to specific applications in water and oil-fitted constructions with voltages ranging from 460V to 6,600V and according to design specifications will operate at ocean depths greater than 10,000m. In addition to the Aqua Star ROV motor, Sun-Star submersible motors are used in a wide range of underwater applications, such as dredging, exploration, mud pumping, mining, and seawater lift. Sun-Star Electric engineers will design motors based on the client’s operational requirements, including seawater depth, dimensions and weight specifications, temperature range, horsepower, torque, and speed. Sun-Star Electric performs maintenance and repair services for any subsea motor brand, including modifications, testing and upgrades. The company also restores components using its in-house welding, machining and motor winding capabilities.